I'm looking for a new ADSL Modem and Router, after having numerous problems with my existing thompson router. Issues like DHCP not responding, DNS faults and wireless dropouts have made me decide it's time to replace the thing. I've also heard that I can get better speeds if I go for alternative kit. Ideally I'm looking for a standard 4 port router with built-in ADSL2+ modem to use on O2's 20 meg service. Gigabit ethernet would be nice, as would 802.11 B, G and N.
So, any suggestions? I've about £100 to spend, but I can be flexible. Any and all ideas are hugely appreciated! Ticks all the boxes you have provided but a tad over the price. That's rapidly gaining the status of an urban myth... it's only true if the processor is having to handle QoS as well as everything else, which I'd guess most users won't bother with. I usually get speedtests like this (~70Mbps profile), and others manage much more than that, see the speedtest this user gets. edit- ignore strike-out part, duff search. It was what Billion support got on their testing reported in their forum! They reckoned that 60Mb/s or so was a hardware limitation and they would need to "look at this" for future versions. Using QoS was limiting throughput to 30Mb/s or so. 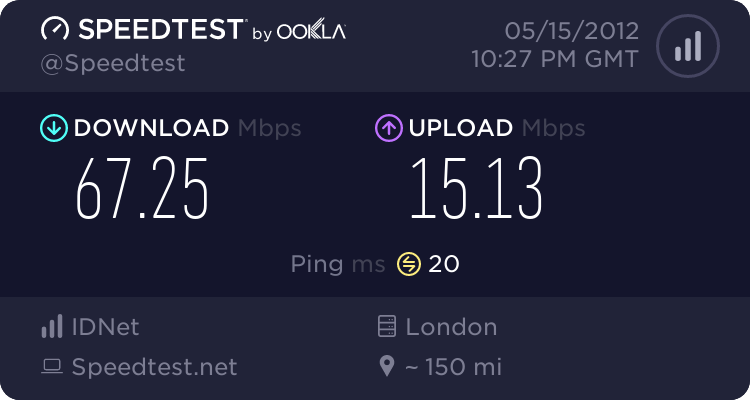 Since I hope to use my 7800N on FTTC "soon" with an full speed connection I will be very, very happy to be proved wrong! Really? This is the latest testing I see. Looks pretty comprehensive to me... Reading the entire thread, I'd agree that some people are having speed problems*, but the test results I linked to would indicate that it isn't the router that's causing them. Thanks for the help, I really appreciate it. I've ordered the Billion from Amazon, so it should be here tomorrow. I'll keep you updated with how I get on. Meantime, if you've got any tips for how to get the best out of it, I'd be hugely grateful! Tbh I'm not sure I can help a great deal- mine has only been used on FTTC, and iirc all I had to do was connect it up, go to 192.168.1.254 in my browser, select the EWAN port on the "Quick Start" menu, enter the username and password for my ISP and the basic details for the wireless LAN and away it went. So the ADSL section is "here be monsters" territory as far as I'm concerned . I think there's a start-up wizard that runs if you connect using Internet Explorer, but as I use a Mac I can't comment on that. It's possible to tweak the SNR margin on ADSL for extra speed if your line is stable enough- there's a post in this forum about it somewhere but I can't find it . If you want to get the most out of it, or have any difficulty with setting something up, joining the Billion user forum would be my best advice, though there are some very knowledgeable users here too. So Billion started a new thread rather than updating the original one? Sounds great though so I will stop worrying!